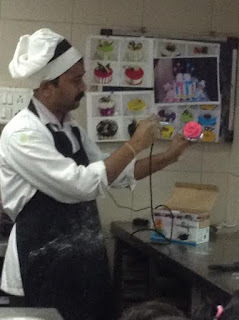 what is at the bakery! 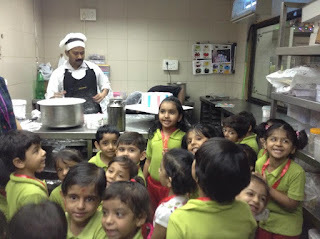 Tons of delicacies before your eyes. 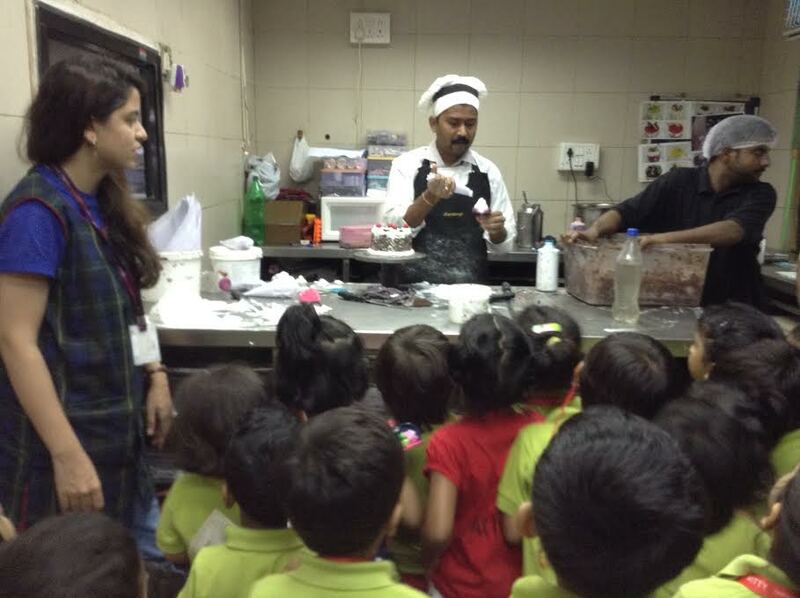 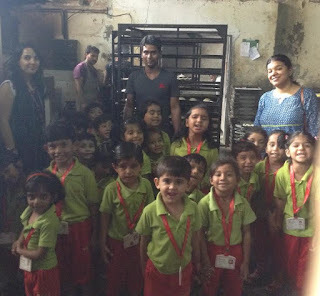 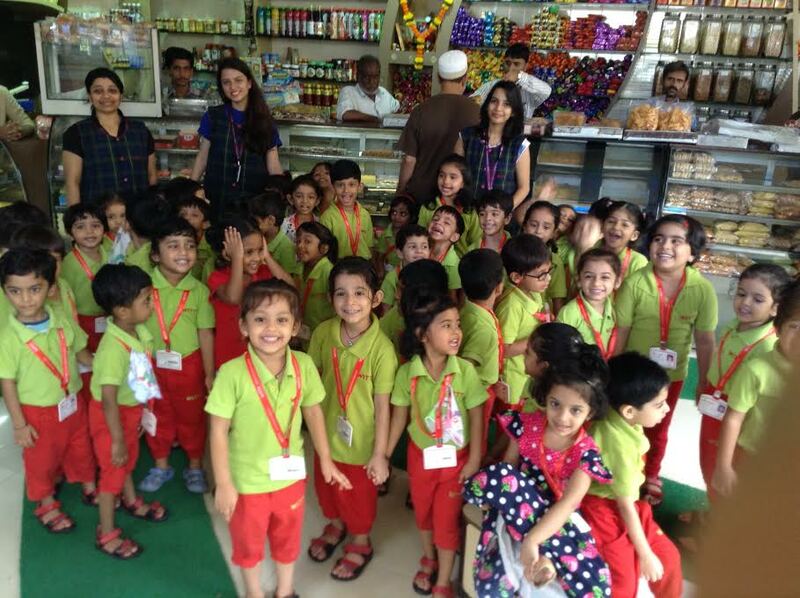 Witty World Jr kg class visited a bakery as an extension of their classroom learning. 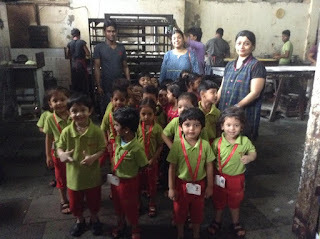 They went for this field trip on 23rd July, where kids were shown big ovens were kharis were baked, taken to the cake making counter were they were shown sponge cakes, fondant decoration, flower making out of fresh coloured cream. 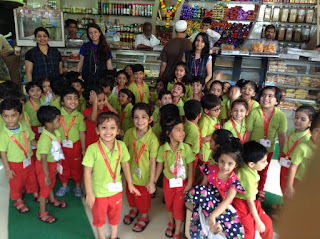 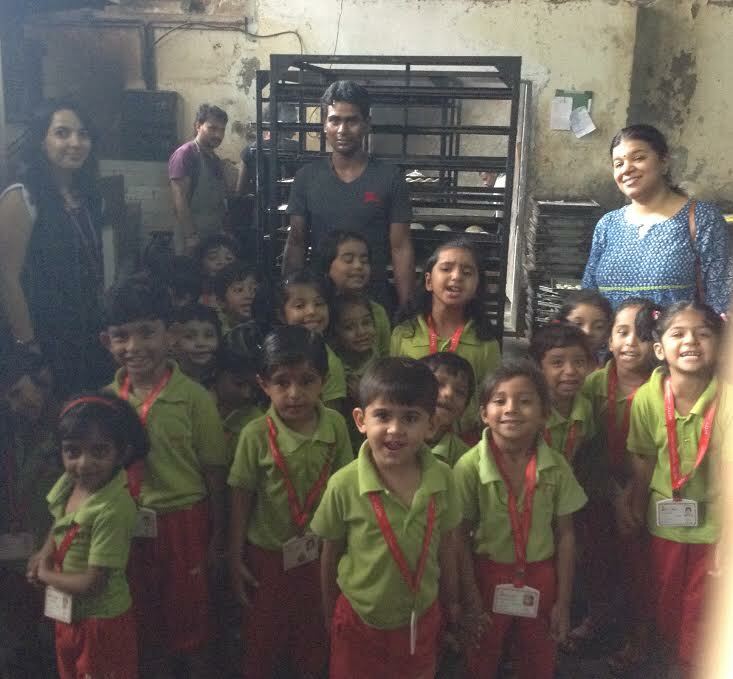 It was a fun filled experience with the aroma of the cakes lingering in our minds even as we returned back to the school. 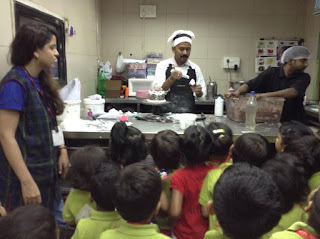 This was indeed a mouth watering experience!